TThe Limpopo Province announced the names of the 52 provincial winners of the 2017 Lilizela Tourism Awards. The announcement was made at a prestigious awards ceremony held on 15th September 2017 at Zebula Golf Estate and Spa in the Waterberg District, with the backdrop of the majestic Waterberg mountain rage, the lush and thick vegetation, home to finest lodges and grandest of the National Parks Marakele, host to South Africa’s unique Safari Golf courses. The Interim CEO of Limpopo Tourism Agency Mr Gladwin Kotsedi, ululated all the province’s finalists and publically honored them for their contribution to service excellence and quality assurance in the tourism industry. 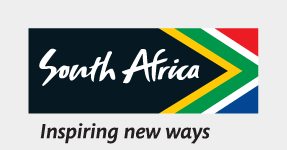 Billed to recognise only the best in the tourism industry, their passion and tenacity to better the tourism industry has made Limpopo the leading destination South Africa’s domestic tourism. The Lilizela Tourism Awards aim to recognise those that provide the most memorable experiences and services in Limpopo province. “Each year we look forward to these highly contested tourism awards, the awards gives an opportunity for the industry to openly compete and reflect on the services that they offer. Limpopo province is not a stranger in contesting and winning national awards, the reigning ETEYA overall winner Besty Travel hails and operates from Mankweng Township in Limpopo. We are very happy with the interest shown by the industry and we have confidence the current pool on winner will represent us accordingly and bring the honours home” said Mr Gladwin Kotsedi, the Interim CEO of Limpopo Tourism Agency. Kotsedi, gave his gratitude to the tourism industry at large for being good ambassadors and trend setters for others, “It is the Limpopo government’s hope that that the tourism industry will be inspired by the finalist and participate in the Lilizela awards in the betterment of the visitor experience, inclusiveness of SMME’s and customer service. Once more congratulations to all the participants”. The National Winners will be announced at the Sandton Convention Centre on 29th of October 2017. Limpopo Tourism Agency is the provincial tourism agency responsible for the marketing of Limpopo province as leading tourist destination in Southern Africa. It is headed up by Interim Chief Executive Officer, Mr Gladwin Bibi Kotsedi.